Landowners constantly face the ever-daunting problem of renovating and improving property. While certain fixes require various handymen, there are many damages that can be fixed without having to hire any extra help. Here are 5 crucial DIY home improvement skills that will help you save time and money while polishing up your properties. Rental living offers numerous benefits and perks over owning a home, but personalization isn’t one of them. Nothing beats the feeling of making a rented space your own, and just because you’re renting doesn’t mean you can’t make your apartment feel like home. Luckily, there are a few Boston apartment decor hacks and tricks you can do to spruce up your rented space without stressing out your landlord or worse, having to pay for it when you move out. Here are five ways to do just that! Having a roommate has many benefits. You can afford a much nicer apartment when you share the responsibility of paying rent with another person. You can meet new people and learn new things about the city in which you live. Despite the numerous benefits of having a roommate, the difficulty of finding the right person to live with discourages many people from living with a roommate. As a landlord in Boston, property inspections are inevitable. While they aren’t always the most comfortable experience, they are necessary to ensure renter safety, lease compliance, and a smooth transition when tenants move in or move out. But when can you perform a rental inspection? It is important to understand the process before you just walk into your tenants apartment. In some cases, it is illegal to walk in to property without following some guidelines. Property managers need to wear many hats, and ‘rental inspector’ is one of the more difficult tasks they may have to do. Not only is it an awkward experience for a tenant, there are many hurdles to consider for the landlord. 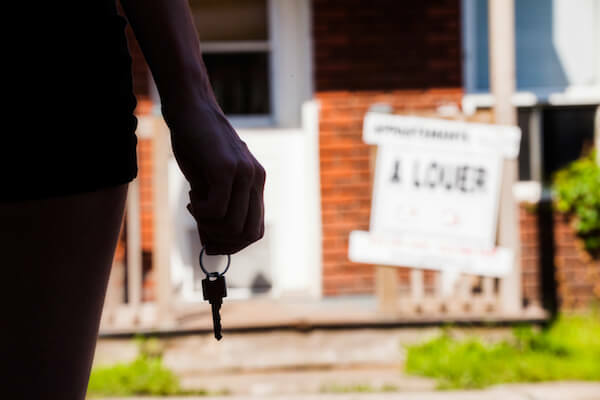 In many cases, a rental inspection can be considered a necessary chore by both parties that ultimately works out better in the long run for everyone involved. This article will explain the benefits to tenants and landlords when it comes to rental inspections. Find a rooms for rent can be a tedious and unpredictable venture. It is even harder when you are looking for one in a city as big as Boston where rental units are at a premium. There are thousands of people competing for available rooms, and vacancies often get filled as soon as they become available. If your a lone wolf looking for a room to rent, it can wear you down. As such, you have to be committed and be swift to make a decision, and it doesn’t hurt to have a couple of tools at your disposal to give you a competitive advantage. Every landlord’s dream is to have perfect tenants who always pay on time, maintain their residence, follow the rules, and of course, live there for several years. Wouldn’t that be nice! Unfortunately, if you are a landlord long enough, you will run into tenants that can make your life a difficult time. Preparing to start a new semester means making tough decisions about what classes to take, whether to get a job, and what activities you want to make time for. One of the toughest decisions is deciding where to live. If you are trying to figure out whether to live in the dorm or in an off campus apartment, there are many things you need to consider before you make that decision. Picking which neighborhood to apartment or house hunt in can be both exciting and stressful. With so many great Boston neighborhoods, the options can feel overwhelming. We compiled a list of neighborhood amenities to consider which will be helpful for picking the best neighborhood in Boston for you.